The S.D. 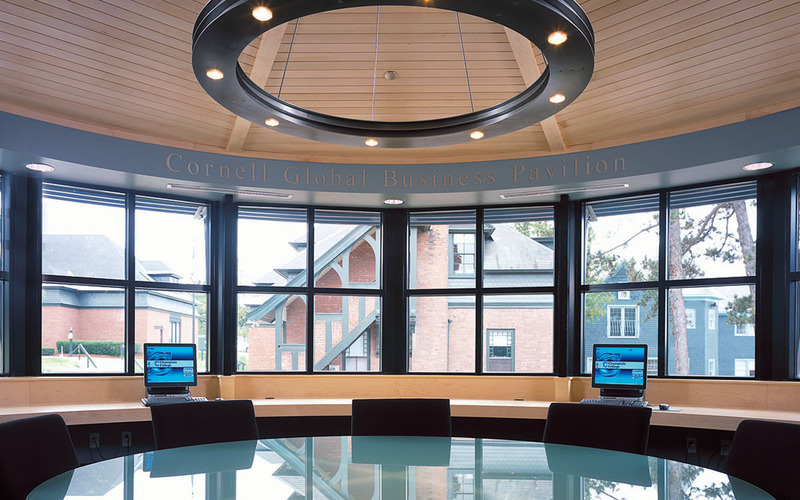 Ireland Family Center for Global Business & Technology at Champlain College integrates emerging business technology programs into a new state-of-the-art facility, while continuing local architectural traditions of both the College and the community. 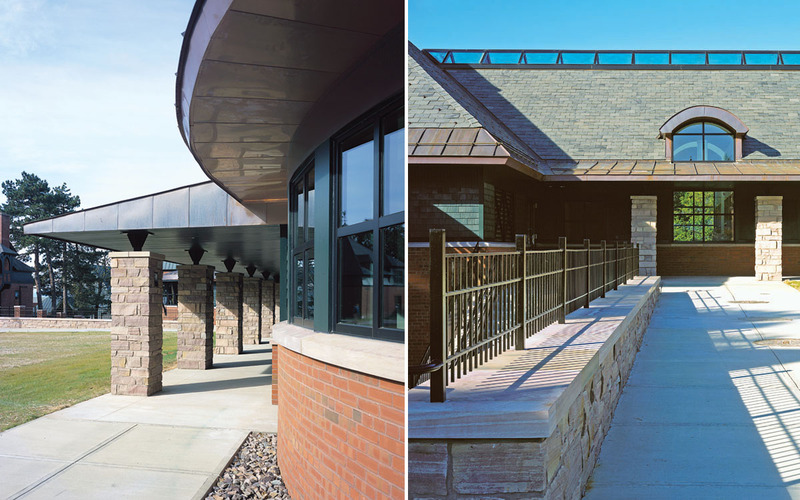 The new 23,500 sq.ft. 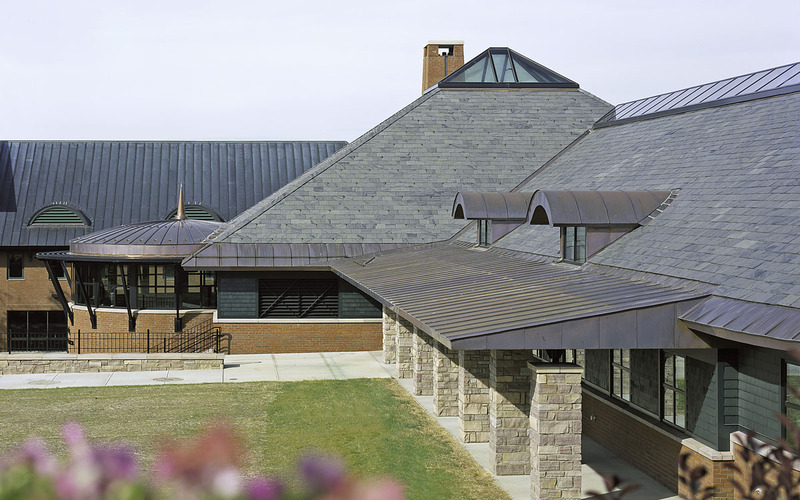 center and covered pedestrian loggia, along with the neighboring college buildings, defines a new campus quadrangle. 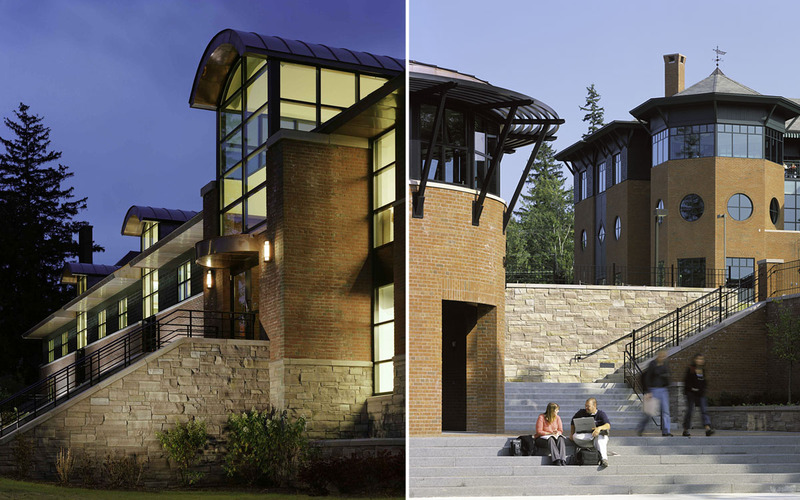 Exterior building massing and materials such as brick and slate minimize the building’s impact on the site and allow it to remain compatible with existing campus structures. 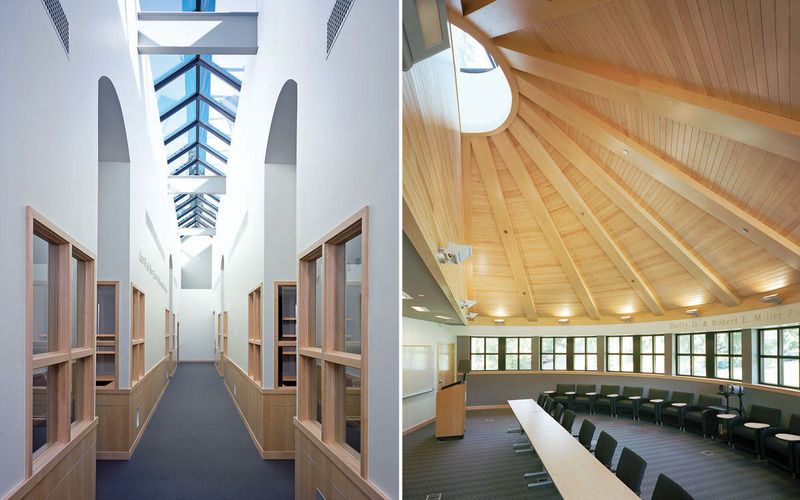 A natural daylighting strategy that utilizes skylights and glazed dormers reduces energy consumption while maximizing interior light.